There are lots of “Emergency” supplies needed when you travel – emergency money, emergency credit card, emergency chocolate, emergency make-up, and emergency first aid supplies. I made up a small emergency zippered pouch for Sarah to take on her travels. It is perfectly sized to fit in her handbag/day pack to hold some travel essentials. 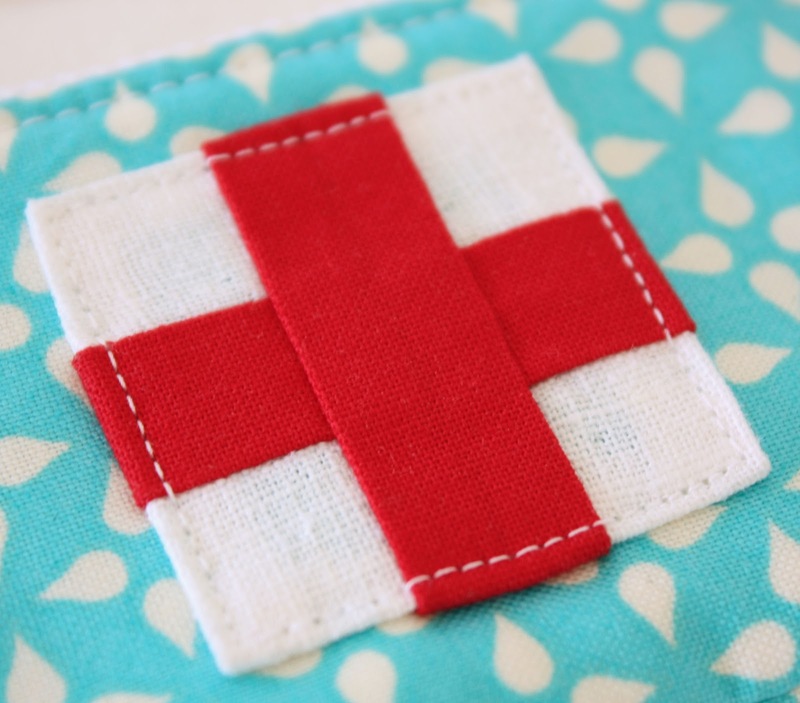 With it’s patchwork red cross, it is perfect for any emergency supply. I love how it turned out – I think I will make up one for myself. Ribbon: Red and White Striped Grosgrain, (from Ribbons Galore). Size: 2 3/4 x 4 1/2 inches. That is absolutely adorable. Love the colors! Great to slip an emergency $10 in! Oh, how precious! 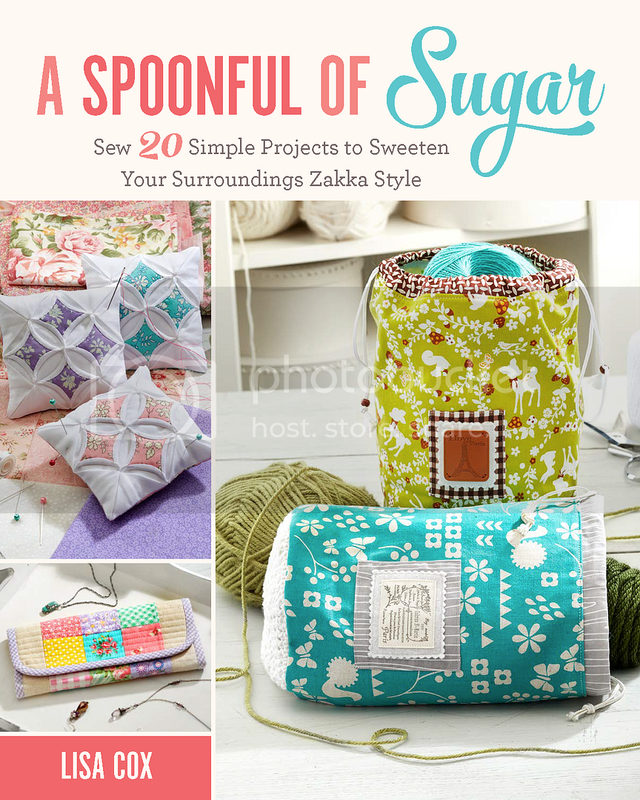 A perfect little bag and a brilliant way to make a pretty emergency kit. It’s good to be prepared for those unexpected emergencies. Perfect little size. Pretty little pouch. How adorable! I love this idea and will definitely steal it someday! cute and useful. i love it! Oh Lisa — that is just adorable! What a fun little gift for friends and family! Really love this idea,is there an actual tutorial on how to make it or is it just a sharing your results picture? I would love to try this my self.Thnaks for sharing your creativity with us! 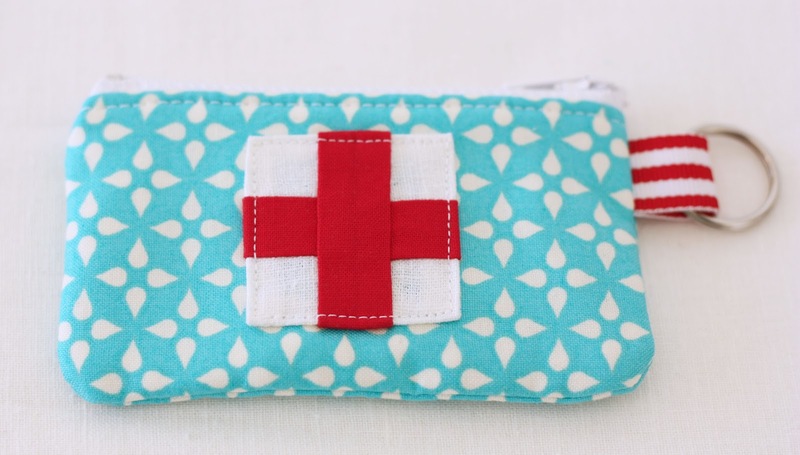 What a cute little emergency supplies purse, love the little patchwork cross block. I’m a nurse so I love anything that has that red cross on it. This is really cute! thanks. I’ll add it to my list of things I want to do. Fabulous idea Lisa and I love the colours. Every handbag should have one of these. This is adorable! 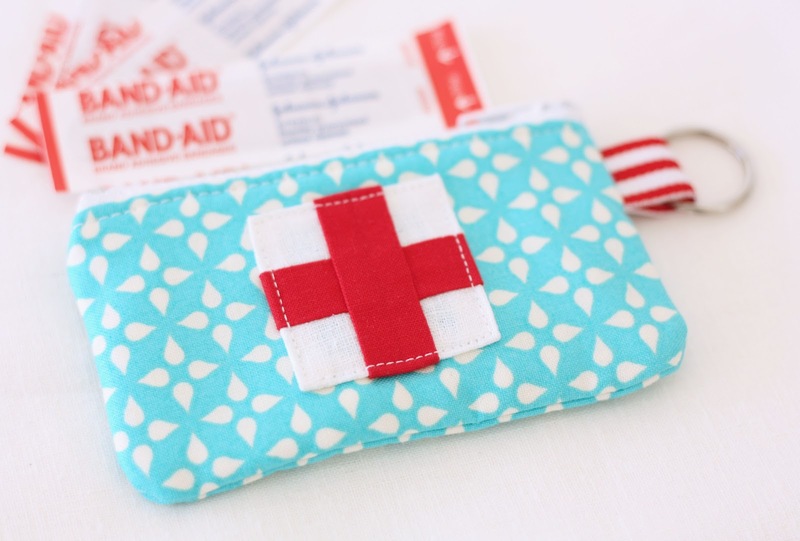 And such a great idea for storing first aid supplies. Now you’ll know exactly where they are. The bright colors and red cross will make them easy to find. Love it! I am really liking this idea!